When entering a new transaction, the value of the asset can be set. If the field is skipped, CoinTracking calculates the value of the asset using historical prices. 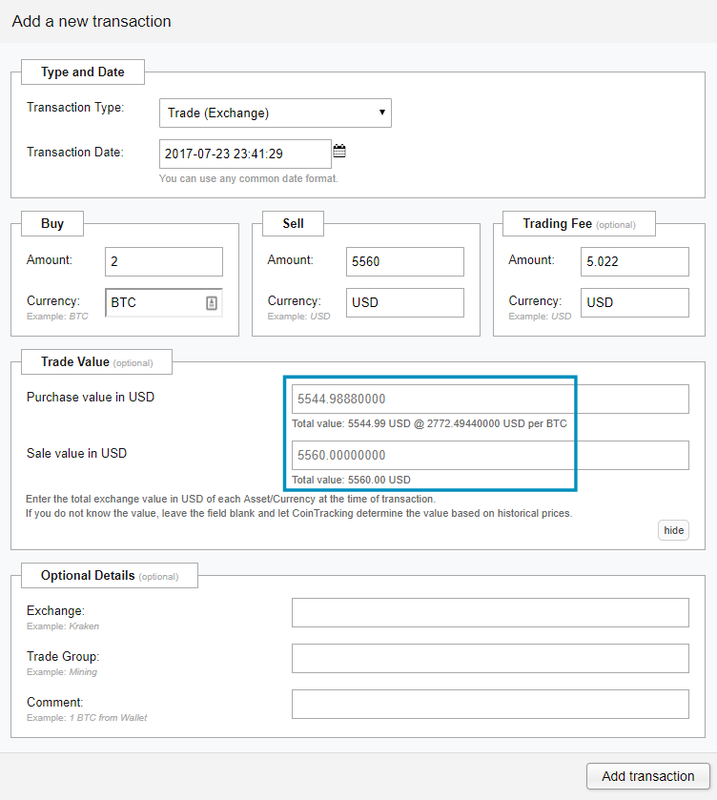 In the event that the prices should differ, please edit the value of the asset on the 'Enter Coins' page.